Real cashew chicken with a simple sauce that tastes just like your favorite takeout. Find out what the most important ingredients are to make this stir fry dinner authentic. For a limited time: Enter to win on Instagram! I would wager you’ve had cashew chicken at a Chinese restaurant. If you haven’t, someone you went with did! It’s one of the most popular and famous stir-fry dishes at American Chinese eateries. 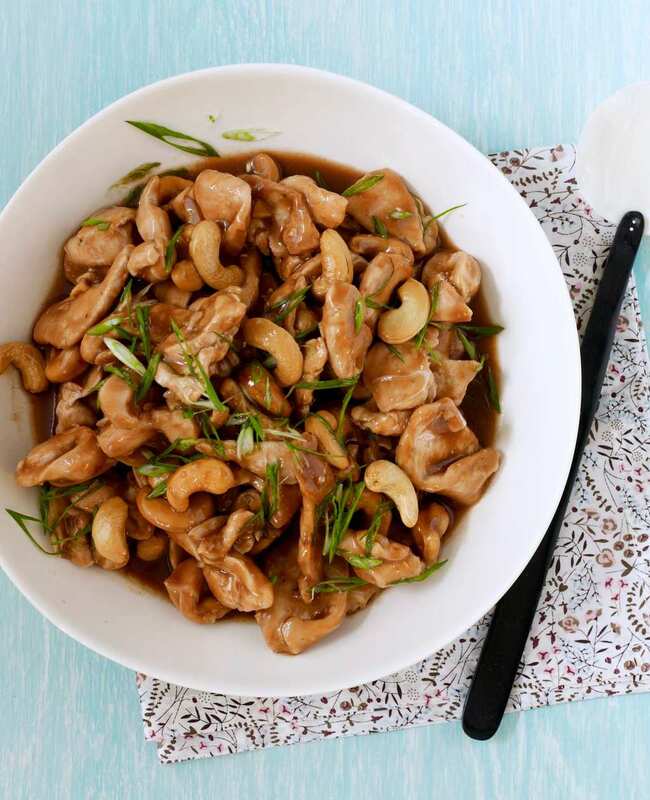 So how do you make cashew chicken at home? The secret to making an authentic tasting Chinese dish at home lies in a few ingredients. First, MSG. Oh my goodness I’m kidding! By the way, these days the majority of American Chinese restaurants don’t use MSG (monosodium glutimate, a flavor enhancer that has been found to have carcinogenic properties). Whew! Fresh ginger and garlic. These two ingredients combine to give many stir fry dishes their intricate base. Like a mirepoix (onions, celery, carrots) in French cooking, this combo is found in many Chinese dishes. No substituting dried ginger or garlic powder here. The fresh ingredients are key. Shao Hsing, or dry sherry. Shao Hsing (Shaoxing) is a Chinese rice wine used for cooking. It’s easily substituted for dry sherry and has the most to do with making this dish authentic when made at home. Both impart a savory, nutty and aromatic flavor to the stir fry sauce. Hoisin Sauce. This thick, fragrant, sweet and tangy sauce is a staple in stir fry sauces and meat glazes. It’s usually made from soy beans, fennel seeds, red chillies, and garlic, vinegar and sugar. Hoisin is often called Chinese ketchup, but it’s much more complex as spices are often added. It’s a perfect addition to an authentic dish. Try my Asian Slaw with Sesame Ginger Dressing for another easy dinner recipe using fresh ginger. Cashew Chicken actually has some pretty American roots. The gist is that chef David Leong moved from China to the United states in 1940. He struggled with success cooking authentic Chinese food in Springfield, Missouri. Attempting to adjust his traditional homeland dishes to something the local folks might like, he came up with Cashew Chicken. Everyone was in love and he soon opened Leong’s Tea House which found major success until the late 90’s. 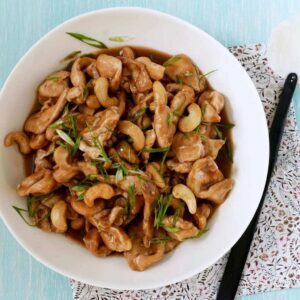 Cashew chicken is still a mainstay in the community, as it is all over the country. Make real cashew chicken with pantry staples and a few authentic ingredients! Now that you know what ingredients to keep in the pantry you’re ready to have this tasty dinner at home. 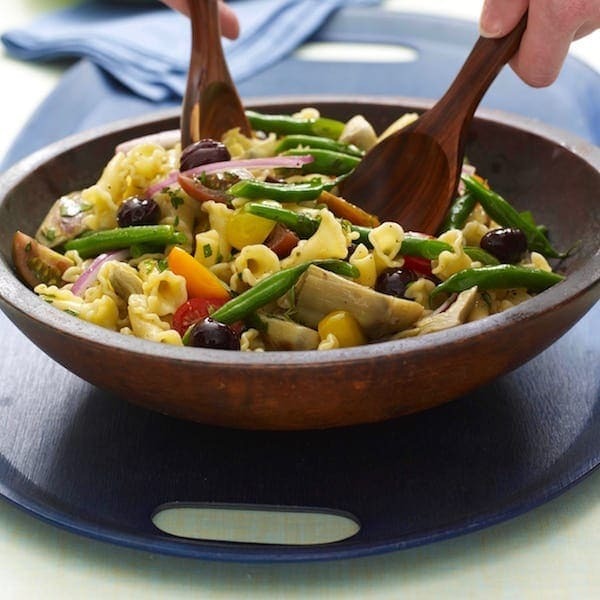 Pull out a large skillet or wok (check out this ceramic-coated nonstick option!). It’s as simple as mixing the sauce ingredients together, cooking the chicken and simmering it in the liquid. 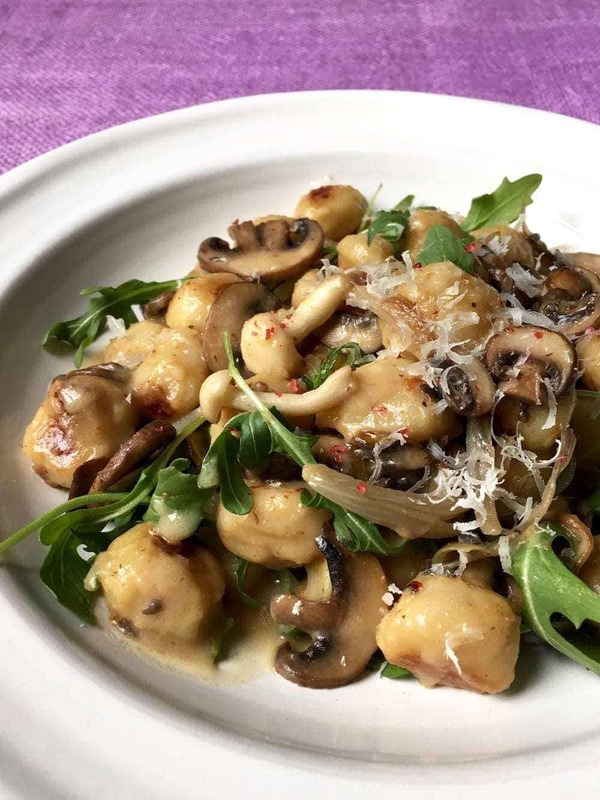 Those crunchy cashews add the perfect texture and sweet flavor. Serve real cashew chicken with long grain or sticky rice on the side. Enjoy! Real cashew chicken with a simple sauce that tastes just like your favorite takeout. In a bowl combine chicken, sherry, ginger, garlic and 2 tsp cornstarch. Chill 30 min. In another bowl combine broth, soy sauce, hoisin, vinegar, sugar and 2½ tsp cornstarch; set aside. Heat a large nonstick skillet over medium-high heat, with 1 tsp canola oil. Sauté half the chicken until cooked through, about 5 min; transfer to a plate. Repeat with remaining chicken and oil. Return chicken to skillet. Stir in broth mixture and bring to a simmer; cook until sauce thickens, about 1 min. Add cashews and serve with scallions and red-pepper flakes. You can whip up this takeout favorite with just a little bit of prep. Serve with steamed rice. Update: I celebrated all things international during the 2018 Winter Games with some of my food blogger friends. 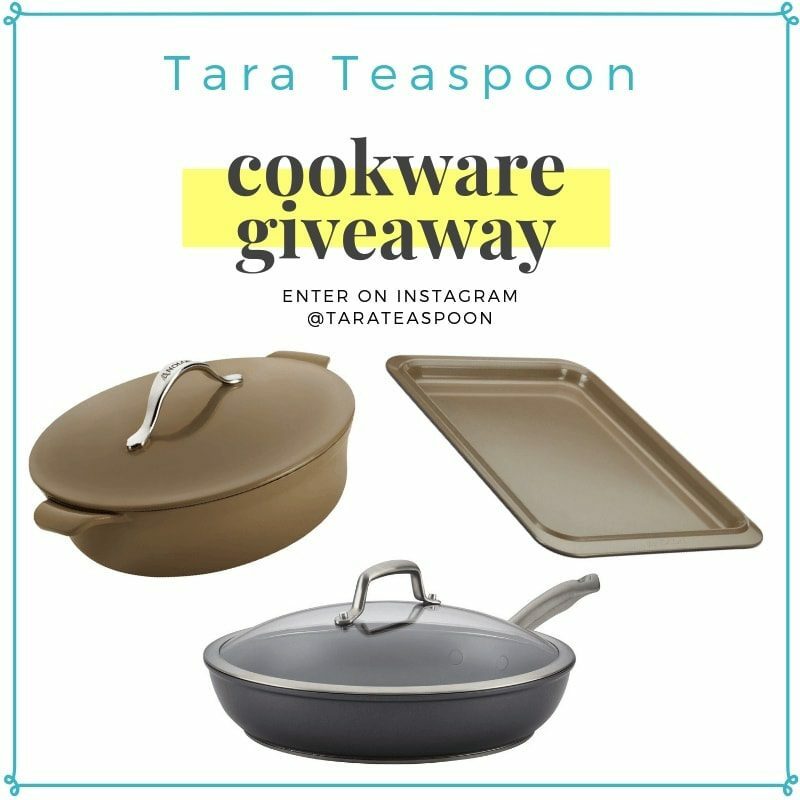 Be sure to click over and enter the Instagram giveaway! You have the chance to win. The Giveaway ended but the awesome prizes included a JK Adams Walnut Whitewashed Cheese Board, Emile Henry Baking Dish Set, Kuhn Rikon Colori Culinary Knife Set, Silpat Classics Mat Set, Joseph Joseph Nesting Bowl Set, Cuisinart Belgian Waffle Maker, Kerrygold Butter and Cheese Package, and a Breville Thermal Pro 5 qt. Saute Pan. You could win one! Be sure to check out these other great international recipes from some of my fellow food bloggers who are also participating in the Food Blogger Winter Games event, posting delicious recipes that are internationally inspired! 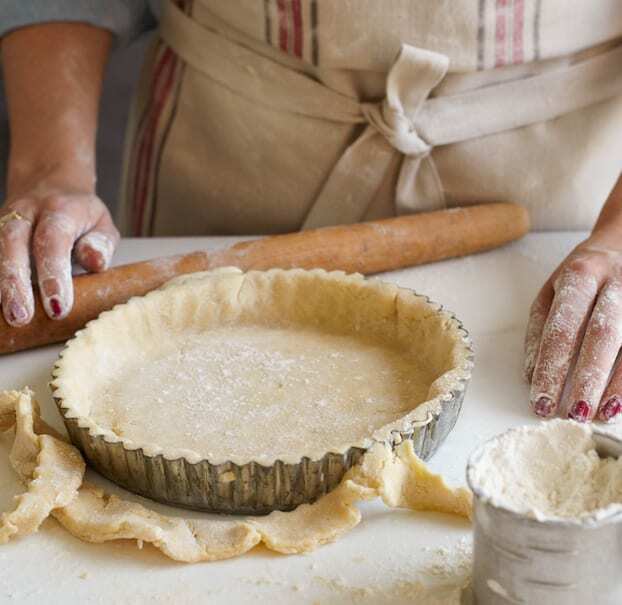 Share a recipe on Instagram you made from another culture using the hashtag #foodbloggerwintergames while you are at it! 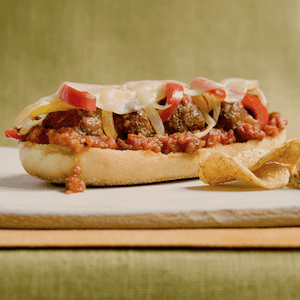 Check Out More Of My Easy Dinner Recipes! 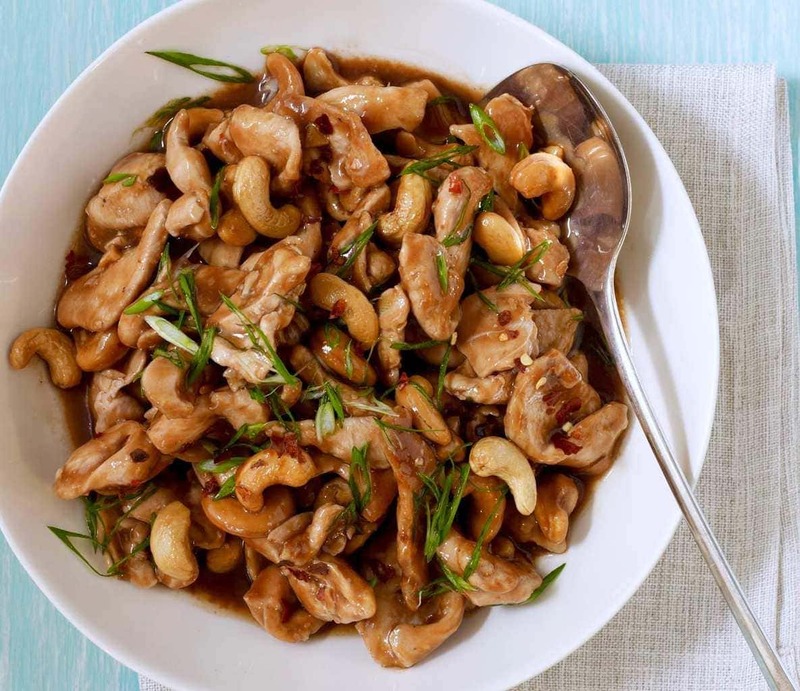 Cashew chicken is my mom’s favorite Chinese dish (I’m pretty sure) so I’m going to have to make this for her the next time I go home to visit! Also, I’m cracking up over your reference to Seinfeld here since I also saw you talking about Seinfeld on IG yesterday, lol. My husband is a big fan of that show and some casual seinfeld quotes have also appeared in some of my posts (like the one I did about babka). 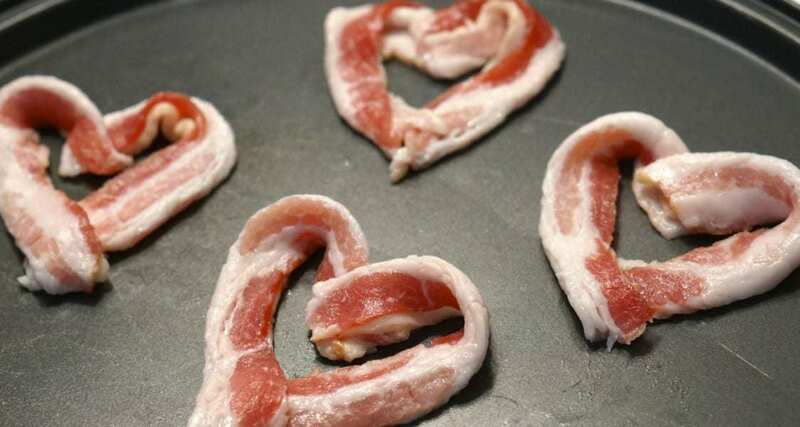 She’ll love this recipe!! Oh hahaha! How is it that Seinfeld is often real life for us. Too funny! This is my sisters favorite takeout dish… Shes spending the weekend with us so I’ll be giving this a try! The directions are so clear I know she’ll be able to do it when she gets back home too! That’s awesome! Oh yes try it, it’s really classic. Thanks Michele! This is such a classic for a Chinese place! 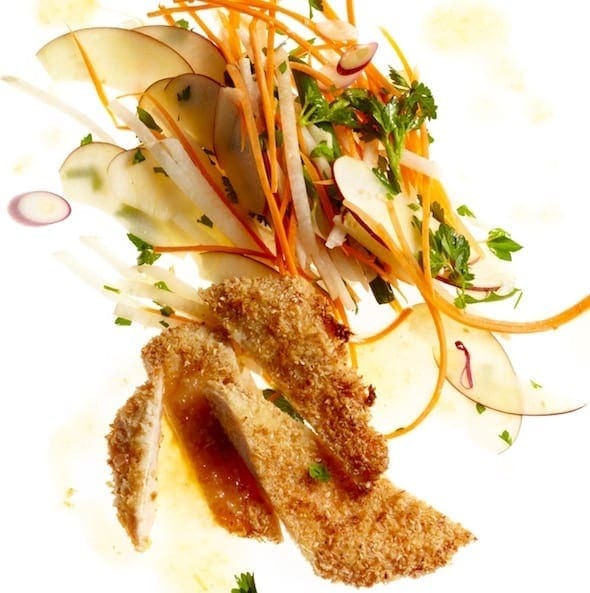 Love the flavors in this dish! It totally is! I like that I can eat it at home! This is soooo delicious! Have made it several times!